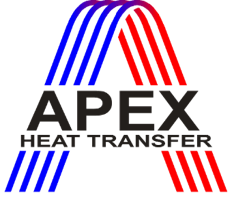 APEX Group logo, APEX Heat Transfer®, APEX Heat Transfer logo, A-CORREX®, Air Curtain®, Air Curtain logo, APEX®, APEX logo, APEX-delfino®, APEX-delfino logo, CORPEX®, CORPEX logo, CORRO-EYE®, C-PEX logo and V-FLEX® are registered trademarks of APEX Group Companies. All rights reserved. © Euro-Apex B.V., 1990 - 2019. Reproduction without permission is expressly forbidden.